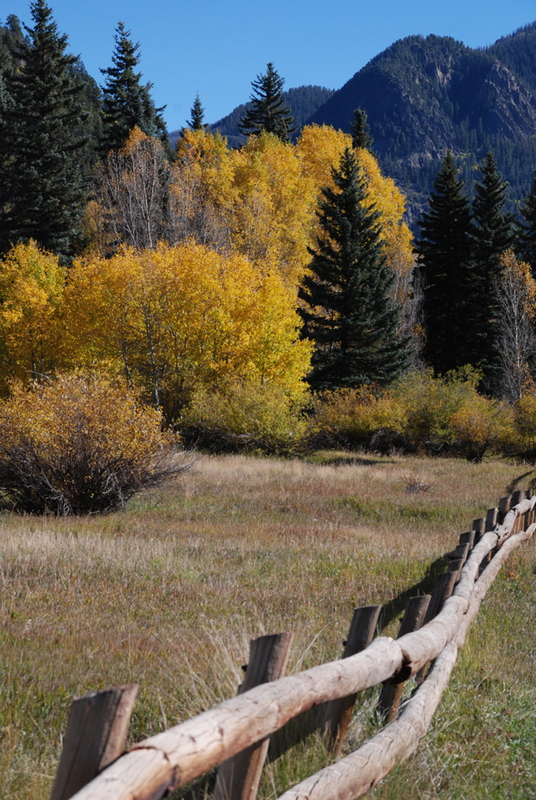 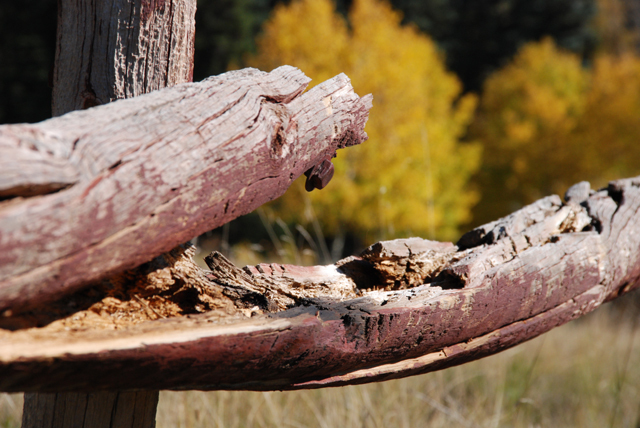 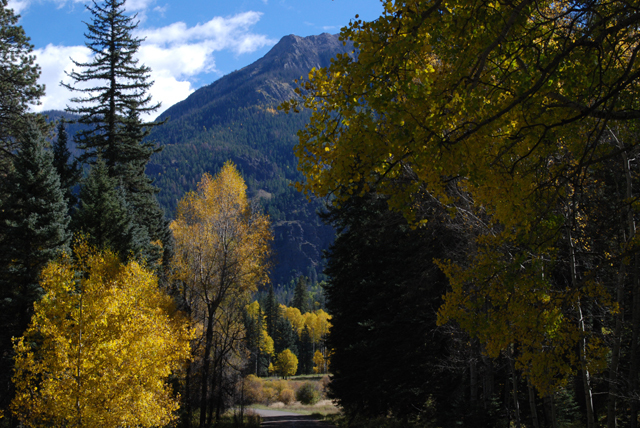 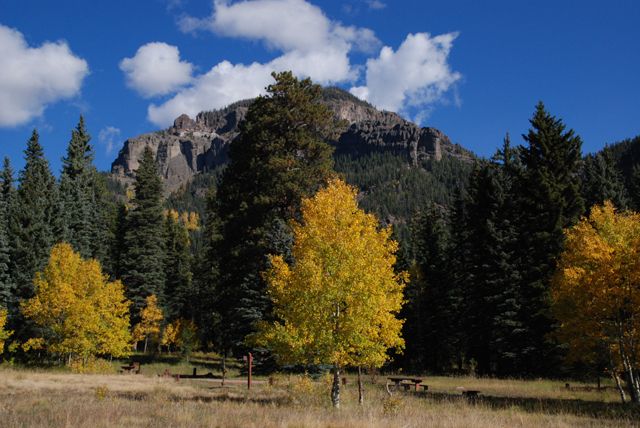 Cimarrona Campgrounds in Pagosa Springs is a popular spot for hiking, fishing and hunting enthusiasts. 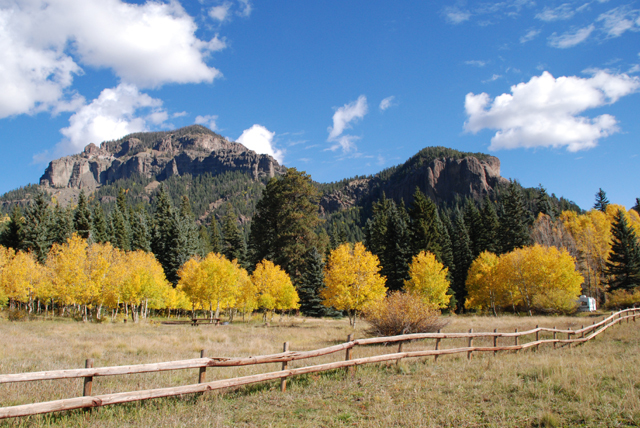 It is located 27 miles northwest of Pagosa Springs and 2.3 miles north of Teal Campground on Forest Road 640 just above Williams Creek Reservoir which is stocked with kokanee salmon and trout. 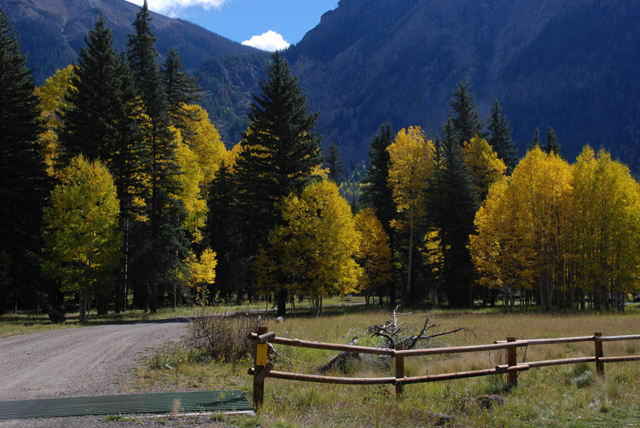 It features 21 campsites some of which can handle large RV’s. 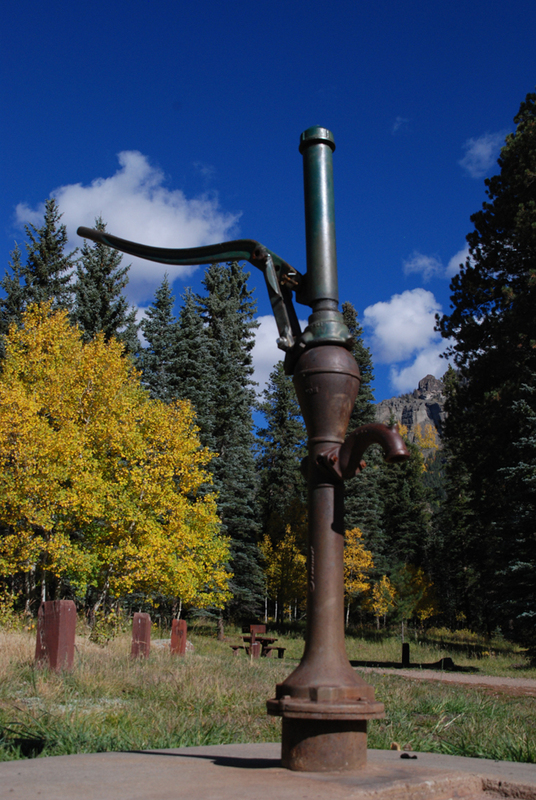 The campground has water provides trash pickup and vault toilets. 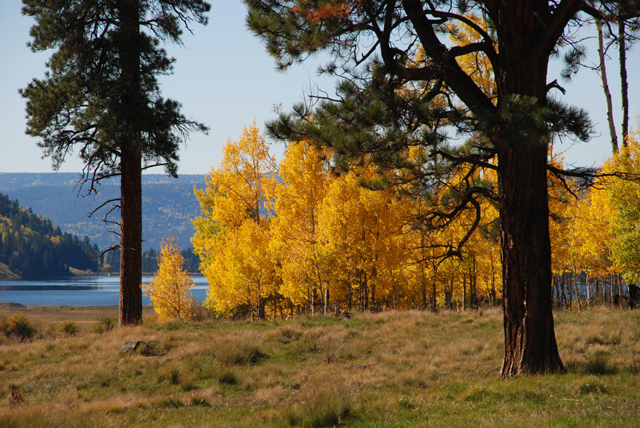 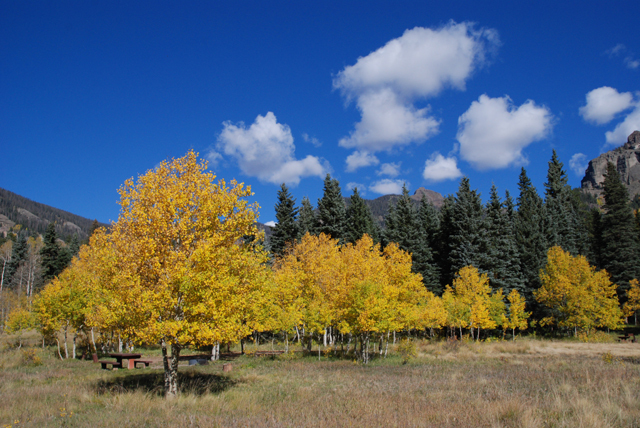 I took these pictures on October 12, 2010 hoping to get the brilliant blue skies that Pagosa is known for but got to the site a little too late in the day and the clouds were already gathering above the mountains.